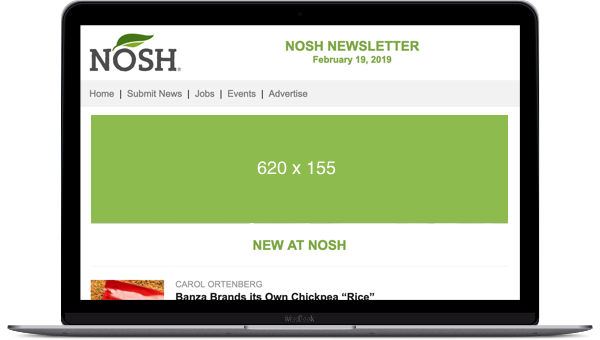 Every day NOSH delivers content to the natural food industry’s inboxes. Want your brand to be there too? Examine our email offerings. The stage is yours. 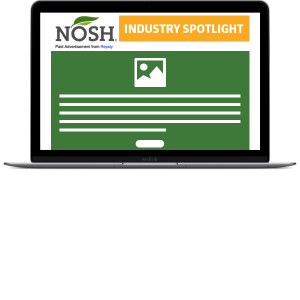 Craft a customized message promoting your company that will be sent to our industry-focused list of email subscribers. Drive traffic to your booth, promote a new product or service, show off your thought leadership through free content, and generate targeted leads to fuel the growth of your business. Get in front our engaged daily readers. Place your branding and message beside the news of the day to drive industry professionals to your site. Add this to you marketing campaign to boost your reach. Want to see ad examples? Ready to get started? Let us know.